Please, be aware of a consent message coming from us later this spring, so that you don’t miss to continue a subscription of this newsletter. Swedish public radio aired a short clip in the news program “Ekot”. Could we have chimneys on the future datacenters? A one-hour interview landed in a short clip about the easiest to understand for the general public. NyTeknik, a Swedish technology magazine, continued on the theme from the radio clip on Ekot early January and wrote an article describing the chimney experiments. The article includes nice graphics and describes the technology and the control challenge. 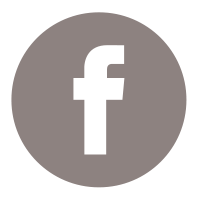 A business review magazine Montel Kraft-affärer also wrote a piece about us. They described in more detail the possible savings with chimneys. They also wrote about the challenges with heat recovery. 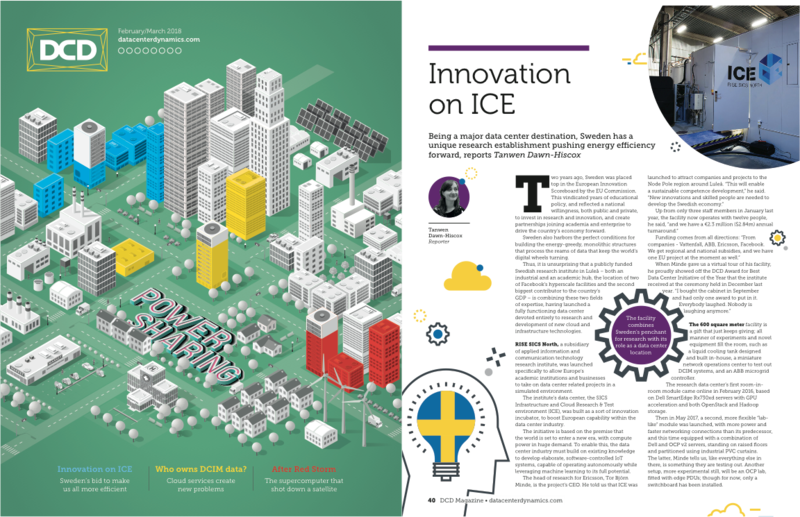 The article with the title “Innovation on ICE” mentions our facility and all our projects with short descriptions. DCD make references to the innovation climate in Sweden and the interests in building new datacenters in the region. We were very active at a number of conferences like the DCD Energy Smart and the DI Datacenter conferences in Stockholm as well as at Data Centre World in London. 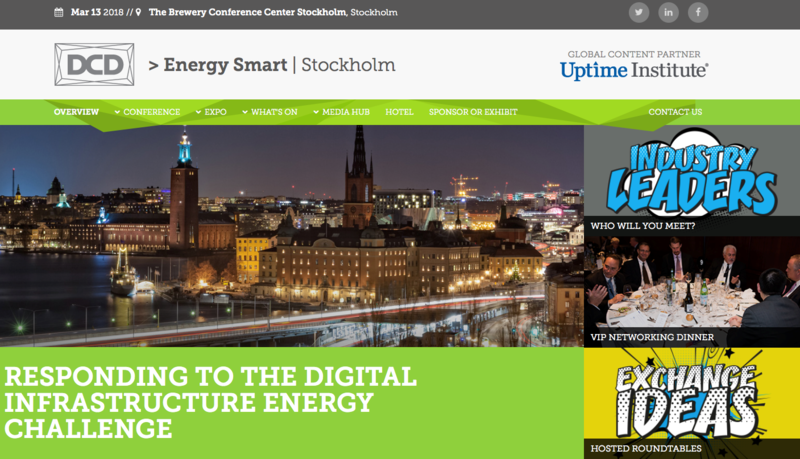 At the DCD Energy Smart conference in Stockholm March 13 we were active with talks and in a round-table discussion. Jon Summers presented “Real scientific and practical challenges of liquid cooling to support energy efficiency and heat recovery”. We at RISE SICS North together with Ericsson GIC hosted a round-table about heat re-use application. During the yearly Dagens Industri conference DI –Datacenter we were active as moderators and speakers. Tor Björn Minde and Jeanette Nilsson were the moderators all day. Jon Summers presented “A glanze at the horizon – what will be required by the data centers of tomorrow?”. At the Data Centre World conference in London Jon Summers had a presentation were he talked about “Research and Development of Cooling and Energy Efficiency”. The session reviewed the growth in research and its influence on data centre design and operation, and presented aspects that may influence data centres of the future. 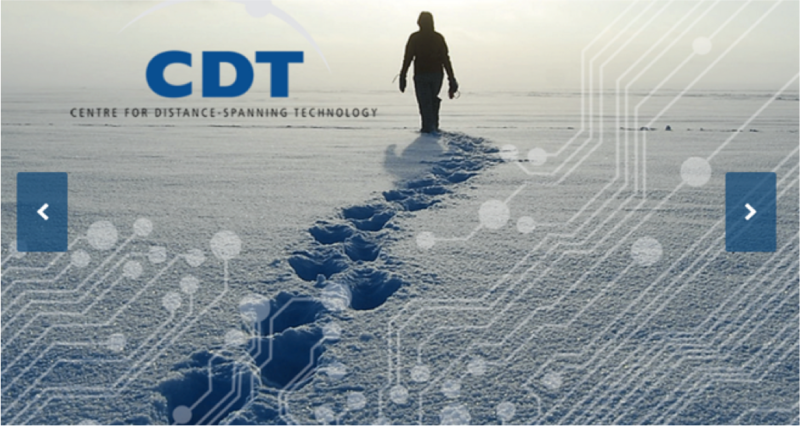 Swedish Energy Agency has granted LTU-CDT, with RISE SICS North as a partner, a project called Cloudberry research center. Total project is 20 MSEK over 4 years from Swedish Energy Agency plus co-funding at the same level. The objective is to run a PhD program (10-12 PhDs) to improve Swedish competence. Jon Summers will have 2 PhD students working for him in the project on CFD simulation of datacenters and liquid cooling control. 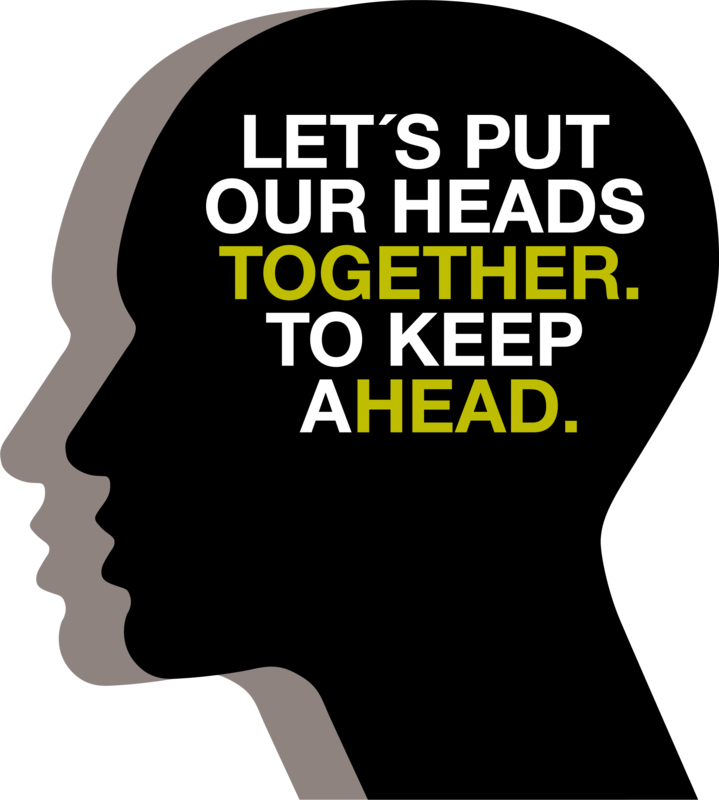 Supporting partners are ABB, Ericsson, Vattenfall, Skellefteåkraft, Nodepole and more. 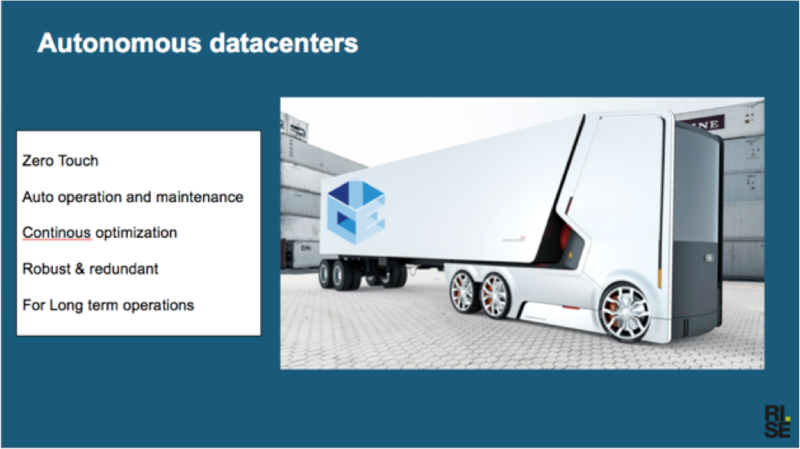 ITEA3, an European cluster program, granted a label for the project AutoDC about autonomous datacenters. 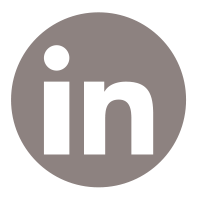 Vinnova will now evaluate to finance the project. Total project is 73 MSEK over 3 years. Ericsson leads the project and RISE SICS North is Swedish coordinator. Partners are Ericsson, ABB, Swegon, OP5, SEECooling, SwedishModules, Hi5, Comsys, Clavister + Finnish and Canadian partners. 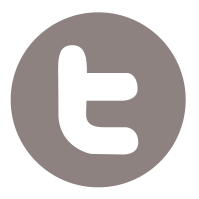 The goal is to lower OPEX by making datacenter self-healing, self-optimizing and robust. Use case scenarios are edge DC, rural DCs and mega-scale DCs. The Swedish Energy Agency granted pre-study for a national datacenter innovation cluster has reached half-time. The project partners are RISE SICS North, Business Sweden, LTU Business, RISE SME and LTU-CDT. The co-funding companies are Ericsson, ABB, Vattenfall & Skellefteå Kraft via Nodepole, E.ON, Intel, Schneider and Vertiv. 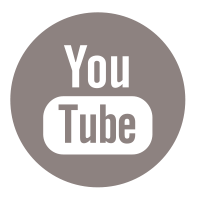 The project has done extensive interviews with the datacenter industry in Sweden. The results and analysis were presented to the Swedish Energy Agency. The agency want to see the initiative as an assignment from the government to organize the industry and help companies to bring innovations to international markets. 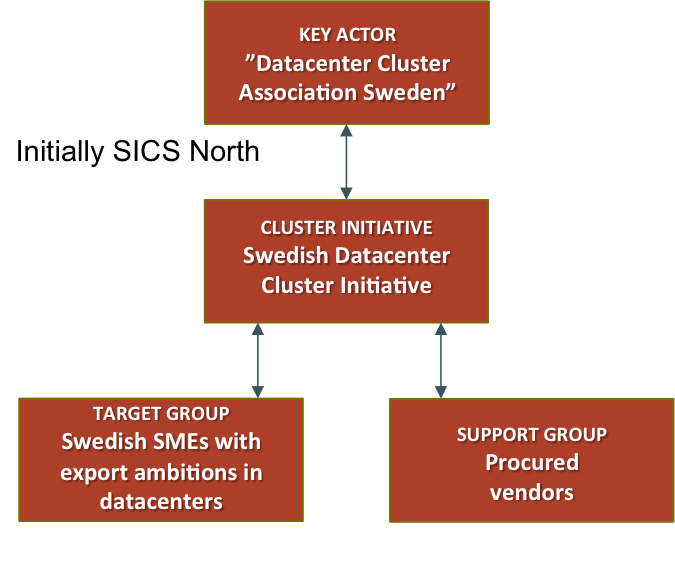 The mission is that 1) The industry organization ”Datacenter Cluster Association Sweden” is a uniting force and 2) The cluster initiative support development of Swedish companies product and service innovations. 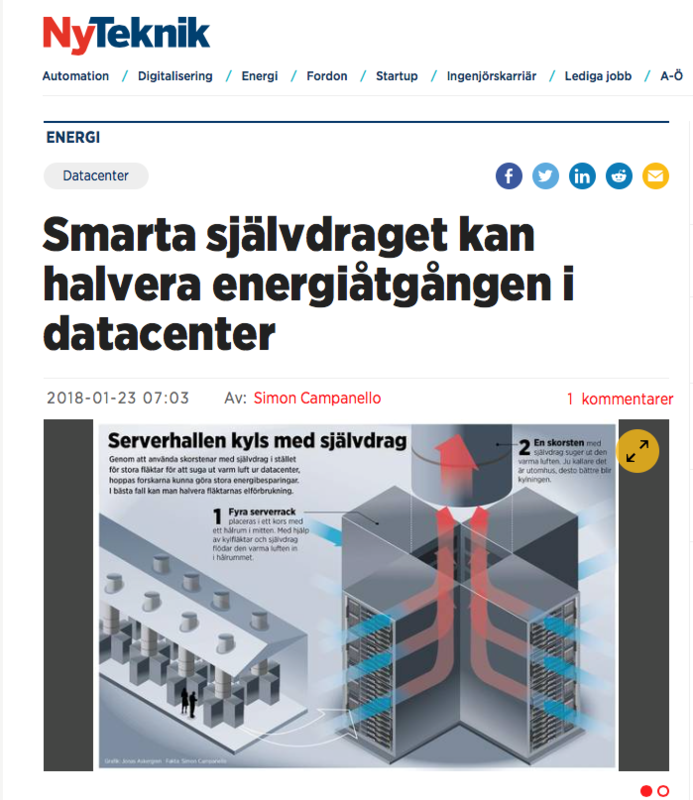 The vision is that The Swedish datacenter industry is globally acknowledged as world leading in datacenter innovation in smart energy solutions. Generate more business to the target group by - opening doors to customers, inform about tenders, position swedish industry, support innovation projects, increase visibility and create networking opportunities. On March 15th we opened the doors to SICS ICE for an open house event. We had 40+ visitors from the region.